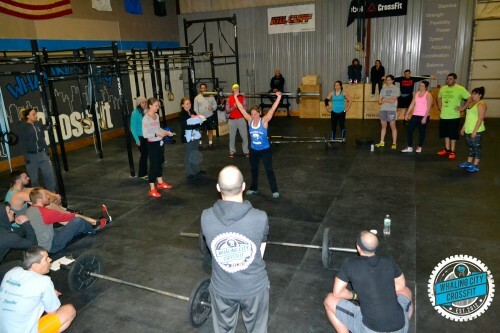 Luisa killin 15.2 with the full support of WCCF! 1a. 5X3 Paused Front Squat (3 count pause in rock bottom) – heavy but non-maximal, rest 90 sec. 1b. 4X10 Tempo Ring Dips (3 counts down, in bottom, up, and at lockout) – if 10 reps UB are too easy add weight, rest 90 sec.